Many businesses are going cashless -- accepting only credit, debit and mobile forms of payment -- to cut costs associated with cash management and to speed transactions. This shift in payments suits the one in four Americans who say they don't carry paper money, but it excludes the unbanked -- would-be customers without checking or savings accounts. So lawmakers, arguing that cash boycotts are discriminatory, are working to make sure greenbacks remain a viable payment method. That comes as trendy eateries like Dig Inn, Dos Toros Tacqueria and SweetGreen dispense with cash entirely. 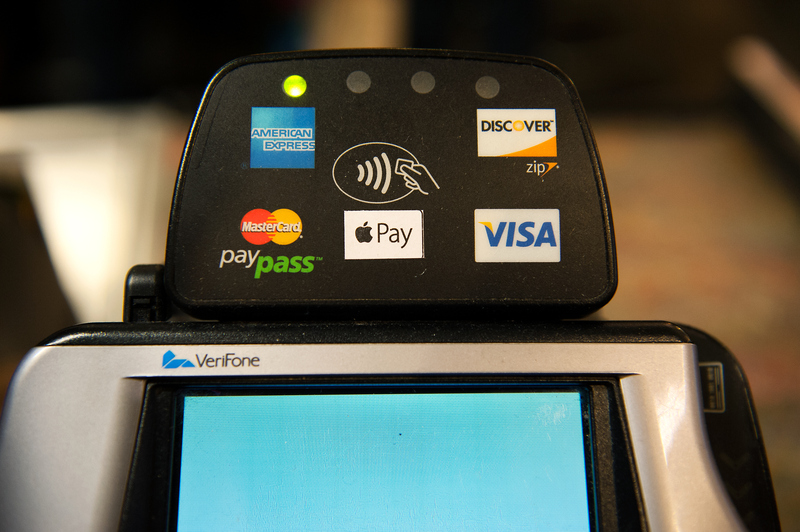 New York City Council member Ritchie Torres last week proposed legislation that would require all local businesses to accept cash in addition to credit cards and contactless payment methods. Massachusetts has required since 1978 that no retailer "shall discriminate against a cash buyer by requiring the use of credit." New Jersey lawmakers on Monday advanced a bill to ban cashless stores. Philadelphia and Washington, D.C. have also introduced bills that would require businesses to accept cash. "There has been a rising tide of cashless businesses, and it occurred to me, what if you're underbanked, as is true of 25 percent of New Yorkers?" Torres told CBS MoneyWatch. "What if you're undocumented, what if you're homeless? Then you have no means of purchasing goods and services in a cashless establishment, and that has an exclusionary effect on vulnerable members of society." Approximately 8.4 million U.S. households were unbanked -- meaning they didn't have checking or savings accounts -- in 2017, according to the Federal Deposit Insurance Corp. Another 24.2 million U.S. households were underbanked the same year, meaning they had a checking or savings account but also used a product or service from an alternative financial services provider. Filtering out "a certain clientele"
Going cashless isn't just exclusionary but could also be used to intentionally discriminate against marginalized populations, according to Torres. "A business may adopt a credit-only policy knowing that it will filter out a certain clientele," he said, adding that his proposed law would protect against both "intended and unintended consequences" of strictly cashless payment systems. He compared requiring credit for consumption to states' requiring identification for voting. "The effect is the same. It disempowers communities of color especially," he said. Christopher Peterson, director of financial services at the Consumer Federation of America, agreed that refusing to accept cash "may have the effect of screening out certain populations, which could be part of the overall strategy." Victims of domestic violence, who want to sever ties with their partners, or individuals with fluctuating incomes, might be penalized by a cashless system. "We would be layering on more challenges in facilitating opportunities for struggling Americans," Peterson said. Who benefits when a business goes cashless? Restaurant operators, on the other hand, argue that cash transactions are costly and inefficient, and that opponents don't see the issue from their perspective. Ari Litwack, general manager of Two Forks restaurant in Midtown Manhattan, said the barbecue-inspired eatery made the move to a cashless transaction system almost immediately after it opened two years ago. "The main factor was speed of service. It's just a matter of a swipe and customers sign off and don't go fiddling around for exact -- or inexact -- change," he said. Retailers can shave off anywhere from seconds to nearly a minute by not receiving cash and giving change, according to Rivka Gewirtz Little, research director for IDC Financial Insights. A cashless system also makes the restaurant more secure, Litwack said. "We don't have to worry about dealing with cash, so there's less liability for our employees and the restaurant in general." He recognizes that not all New Yorkers carry credit cards and said his restaurant is willing to accept cash but cannot make change. "It's not our primary form of payment," he said. Salad chain SweetGreen, Great Northern Food Hall in Grand Central Terminal and OddFellows Ice Cream are among the food retailers that have gone cashless -- and for good reason, according to experts. Handling cash can cost retail businesses up to 15 percent per cash transaction, according to Greg Buzek, founder and president of IHL Group, a global research and advisory firm specializing in retail technology. "There's a cost to counting cash, to pay for an armored truck to pick it up, that can get quite expensive," he said. Still, 30 percent of retail transactions are made in cash, according to an IHL study called "Cash Multipliers: How reducing the costs of cash handling can enable retail sales and profit growth." New York City Council member Torres recognizes the efficiency gains associated with the cashless business model -- but that doesn't mean he thinks it's a good idea. His bill to ban cashless retailers was introduced last Wednesday and will now go through the legislative process, which could take up to a year. "Retail and food establishments are public accommodations and should treat everyone equally regardless of their mode of payment," he said. "I think the principle of equality outweighs whatever efficiency gains might stem from a cashless business model."